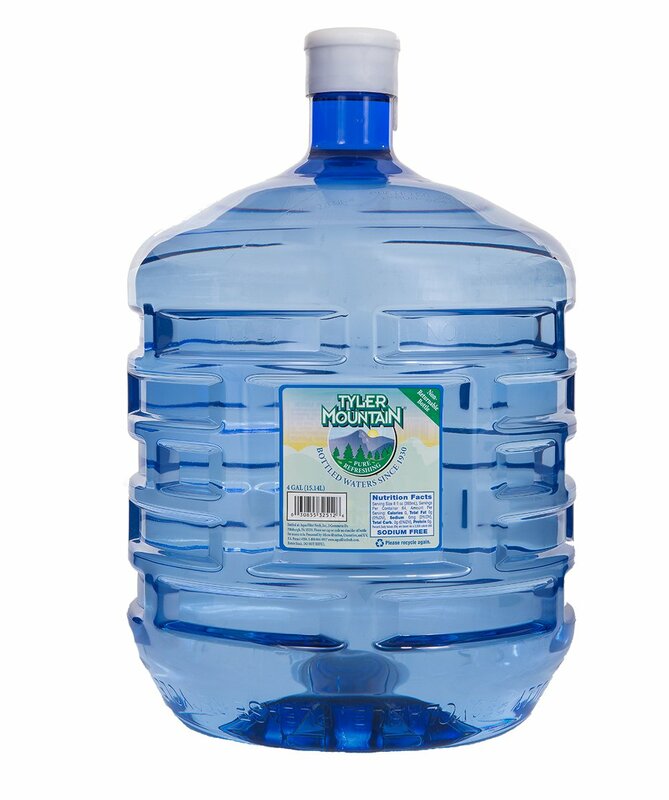 Available in both Spring or Purified, our 4 Gallon Non-returnable bottle is perfect for the consumer that does not want to pay bottle deposits or return bottles to Tyler Mountain Water. These are made from PET recycle code # 1 resin, and can be recycled in your neighborhood recycling program. They’re the perfect solution for those who don’t want to manage empty bottles. Maybe your schedule has you coming and going and you don’t have the time to track your next delivery date. Could be you have a large factory or other complex business, and the idea of having a bunch of empty bottles sitting around doesn’t work for you. The four gallon option might just be right for your company. Or maybe you just don’t like the idea of leaving empties out. The wind could blow them around, or they could get stolen. With the 4 gallon option, you don’t have to worry about that. And you don’t have to worry about sacrificing quality. It’s the same great Tyler Mountain Water without the bottle deposit.